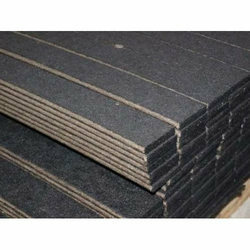 Manufacturer of a wide range of products which include mastic pad, expansion joint filler board, bitumin mastic pad, bitumin filler board, shalitex expansion joint filler board and bitumen maastic pad. ShaliTex Expansion Joint Filler Board is a pre-moulded, high performance joint filler board. It is a closed cell and of cross linked structure. It has an excellent recovery of 95% (after compression upto 50%), which makes it the most suitable product for this application. It is an exclusive product specially designed to be used as expansion joint filler in concrete, brick, block work and isolation joints. It is rot free and contains no bitumen. · Filling structural expansion and structural separation joints in block and in situ concrete construction including screed floors, motorways, roads, runways, pedestrian areas, bridges, curbs, basements, retaining walls, vertical structures, subways and other structures. · Remove dust, flakes or foreign particles by jet of dry air to clean the surface. Bitulex Softboard is processed from cane fibre, the raw material tested and proven to provide the best resilience. Impregnated with Bitumen in various percentages, it is a perfect base material for expansion joint fillers. The board’s compression and recovery characteristics confirm to the U.K., U.S.A. and Indian Standards much above the required averages. Jolly Board Expansion Joint Filler is manufactured from water resistant, bitumen impregnated, cane fibre. It is available in a wide range of sizes, both as boards & strips in thicknesses of 10 MM, 12 MM, 18 MM, 19 MM, 25 MM. Jolly Expansion Joint Filler displays excellent resistance to compression, with outstanding recovery characteristics. The fillers are environment friendly as opposed to the environment destroying thermocole/plastic expansion joint filler. External wall cladding: Filling structural expansion & structural separation joints in block & insitu concrete construction. Traffic surfaces: Filling expansion joints in motorways,roads,runways,pedestrian areas, bridges, curbs etc. Internal surfaces: Filling expansion joints across concrete floors, including screed floors with underfloor heating. Roofs & floor finishes : Ideal for filling expansion joints in concrete floors. Building superstructures: Filling expansion joints in basements, retaining walls, site slabs, subways & other water excluding structures. Reinforced concrete structures:Expansion joint fillers in piers and lateral supports like abutments. Expansion strips: Against existing or between adjacent constructions and insets in concrete paving like drains, manholes, etc. Internal finishes: Various other flat works and concrete floors according to the state of the art and local regulations. B.S. 1142 for Standard Specifications for Expansion Joint Fillers. Low moisture absorption due to bitumen impregnation. 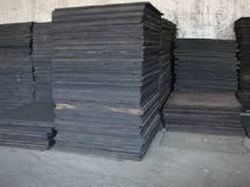 Standard Bitumen content 10-20-35%. Other possibilities upon request. · Structural expansion joint filler for concrete brick and block work in concrete highways, airport runways parking areas, industrial flooring & taxi tracks etc. · Bridge decks, abutments, pier hinge joints etc. · Expansion joints in concrete highways, airport runways, taxi tracks etc. · Expansion joints in parking areas, industrial flooring etc. 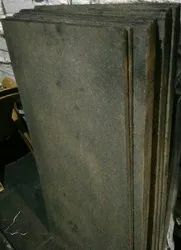 Looking for Mastic Pad ?